To obtain consumer products in our modern society, we have become more dependent on packaging. Despite packaging's benefits, many negative implications exist. As global population escalates, the demand for packaging increases and the need to deal effectively with the growing plastic waste is ever present. This is highlighted by the fact that, according to a report by the Berkeley Plastics Task Force, plastic production outstrips plastic recycling, by six to one. 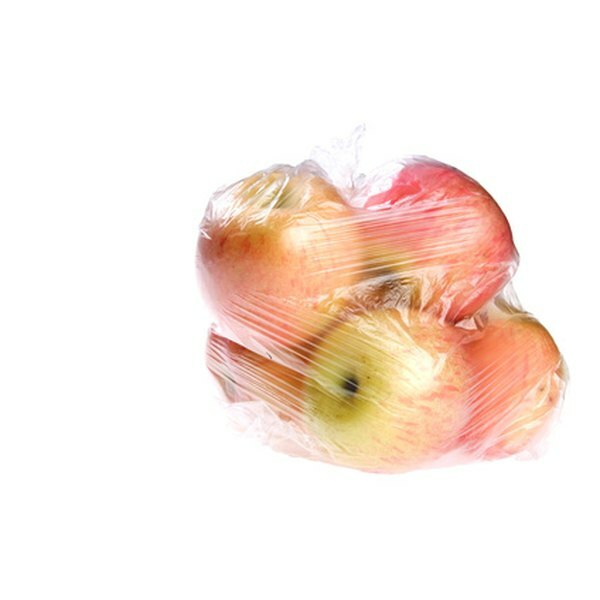 According to the International Plastics Task Force, harmful chemicals -- such as acetaldehyde -- can migrate from plastic packaging to the contents of the package. Plastics associated with this concern include polystyrene, PVC and polyethylene. Plastic packaging is produced from natural gas, which strains a resource that could be put to other uses. During the extended process of plastic packaging production, plasticizers are added to alter properties of the plastic, including increasing its resilience. Plasticizers tend to vaporize from the plastic, which can present a health risk, according to the German Marine Insurers' Transport Information Service. A number of other chemical additives that are added during the production of plastics to enhance their properties have negative human health implications. Diethylhexyl phthalate is cancer inducing, while other additives interfere with the human endocrine system and suppress the immune system, also leading to cancer and causing birth defects, according to planetthoughts.org, an environmental watchdog website. Toxic emissions into both the air and water are common at plastic production plants. Although containers and cups made from corn plastics were considered to be eco-friendly as they were not produced from petroleum products, these take hundreds of years to biodegrade and cannot be recycled. More and more cropland is being put aside for plastic production, which adversely affects food production. Despite the fact that plastic containers carry a recycling logo, many are in fact not recyclable, according to ecologycenter.org, a sustainable-living information portal. Taxpayers are paying near $800 per ton for plastic packaging that is collected for recycling at the curbside and a considerable percentage of this plastic leaves the U.S. for cycling in other countries, where recycling protocols are not necessarily made public. Packaging made from plastic resin is not recyclable. Green Living Tips indicated in February 2009 that the estimated global use of plastic bags annually was between 500 billion and 1 trillion. What Are the Environmental Issues for Battery Recycling?